Across the United States, February is recognized as Black History Month. You may have been trying to find a good way to take part in this celebration. There’s no better way than by educating yourself about the trials and triumphs of the American Black people. To really get to know about the culture, come to Hilton Head and submerse yourself in the traditions and background of the Gullah people. Who are the Gullah people? Between the years of 1863 (when the Emancipation Proclamation was issued) and 1865 (when the Thirteenth Amendment was passed), all black slaves were granted their freedom. However, once slaves had been freed, they were often merely abandoned by the plantation owners that were their former masters. Often, these now former slaves had no skills or resources of any sort. The Gullah people were those blacks specific to the South Carolina area that managed to survive that ordeal and develop a vibrant community rich in tradition, surviving even today. Interested in finding out more? Visit the Coastal Discovery Museum. After you enjoy the beauty of the 68 acres of trails and gardens, take a tour of the Mitchelville village. Mitchelville was the nation’s first community for freed blacks, built during the Civil War. The site is currently in shambles but is under renovation. Here you will not only learn about the experimental town designed for contraband slaves even before the Emancipation Proclamation, but you will hear about the first mandatory education system in the country. While you are in the area, you will want to see the First African Baptist Church. Located in the Mitchelville settlement, this church is the oldest church on Hilton Head Island. First African Baptist was established in 1862 with 25 members of freed black slaves and remains a thriving, active church that’s open to everyone. To become fully immersed in Gullah culture, you’re going to want to see the Gullah Traveling Theater. The goal of this troop is to educate the world about the rich heritage and history of the Gullah culture of South Carolina. 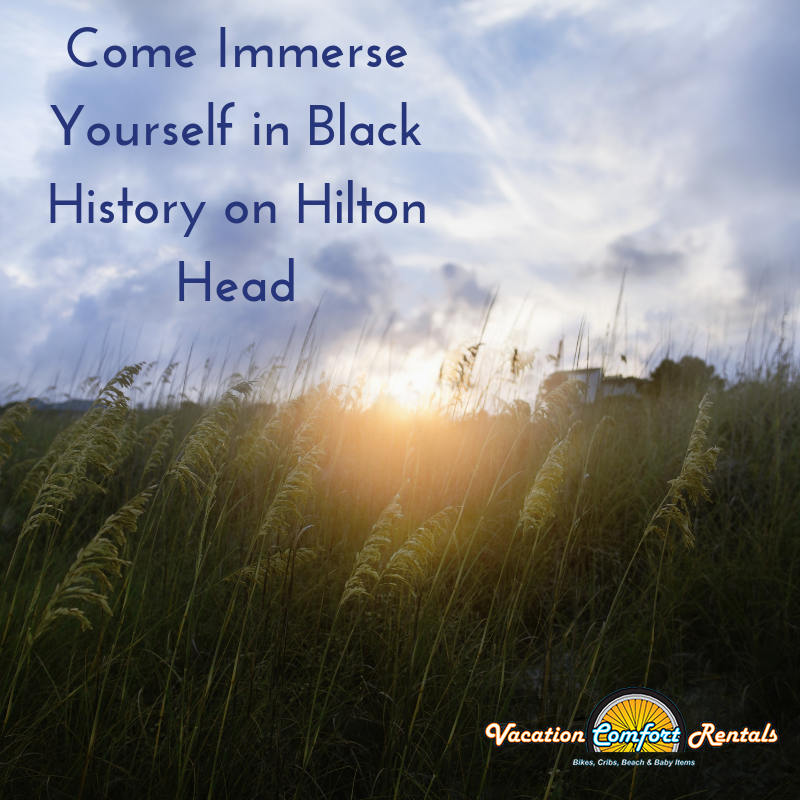 For more information about what Hilton Head has to offer for you to delve into the black culture of the Gullah, check out the Black Chamber of Commerce. You will get directions to the Drayton Plantation Slave Tabby Ruins or Fort Howell, which was constructed by the 32nd U.S. Colored Troop in 1864 during the Civil War. Although black people were originally brought to the Hilton Head Island as slaves, they managed to survive and thrive, developing a beautiful culture that can truly be enjoyed by all when you come to visit during Black History Month, or any time of year.